100% natural! 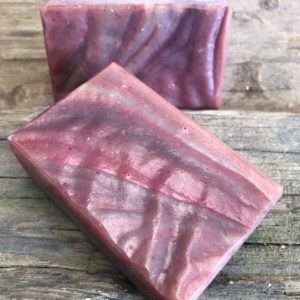 Great for the booty and beyond! 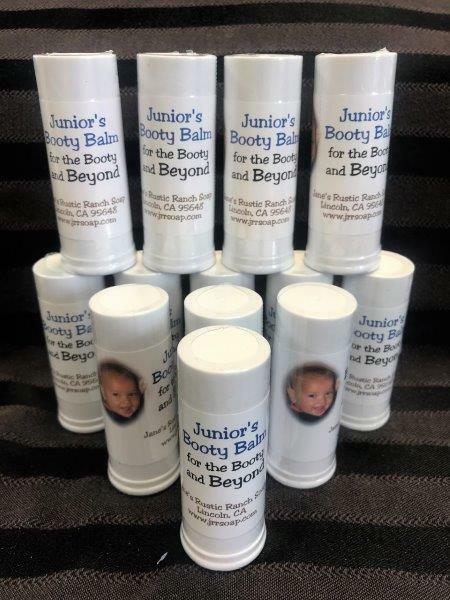 I made this solid lotion stick for my grandson when he was a year old for his bottom. 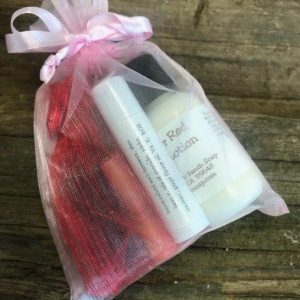 Beeswax, calendula infused olive oil, tea tree essential oil, coconut oil, Vitamin E, and ROE (antioxidant – see ingredients and glossary) combine to give you a nice barrier to keep skin soft and protected. So for the booty to tattoos, try out this very basic gentle lotion stick. 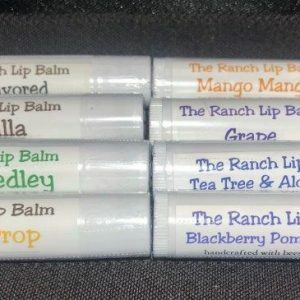 Are you a lavender, lemon, or peppermint fan? Well, here you are. 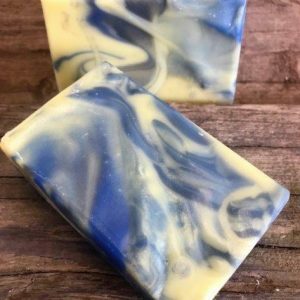 Starry Night is a blend of lavender, lemon, and peppermint essential oils, combined into a blue, black, and yellow bar that came out looking like Van Gough's Starry Night. Couldn't resist. 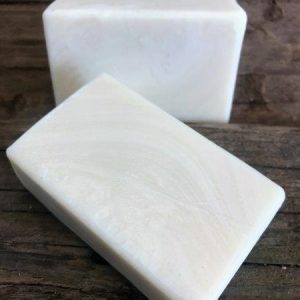 Chunks of any soap I make in a Lemongrass essential oil cornmeal base. Hence, the gumbo and scrubbing name! 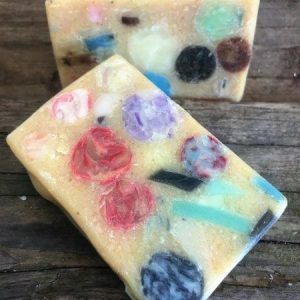 Very colorful soap with great scrubbing power, even laundry! Use it to scrub a tough stain. My niece likes it in the shower, though it's a little scubby for my delicate (read older) skin. 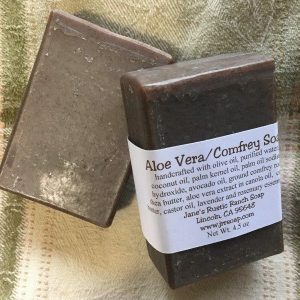 Great for scrubbing heels or hands coming in from the garden or ranch.